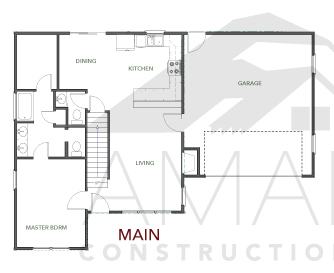 This efficient floor plan maximizes space on a small foot print. Upon entering through the covered front porch, you are greeted with a two-story vaulted ceiling. The open floor plan allows for easy living and entertaining on the main level. A first floor master bedroom features a spacious bathroom and extra large walk-in closet. Up the stairs, a balcony overlooks the main living area. 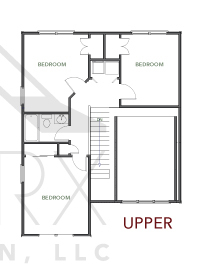 The second floor features three bedrooms, a full bath and a laundry area. Outside you will find a spacious back patio or deck. 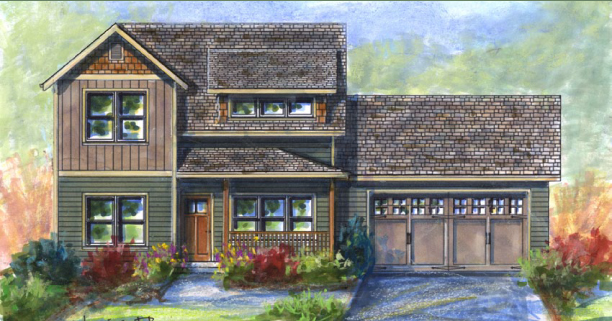 This can be customized to meet the homeowners specifications.